After getting a bit bored of ElvUI I decided to resurrect my old external Tukui edit from 5.4, it was a lot of work to get it back to how I had it but I was well worth it in the end and I believe I've gotten it to the point that it's ready for a public release. The latest version of this addon is 0.2.1 and was uploaded on Apr 13, 2019 at 16:27. This file was last downloaded on Apr 21, 2019 at 08:25 and has been downloaded 204 times. quick update 0.2.1 the smaller maximized world map is working properly now. 0.2 up with some fixes and minor changes to some UI elements. Nikkihoi18, yes you'll need the main Tukui AddOn to use this. and yes download t o zip on Github is just like downloading off here and you'll want to delete the old folder when replacing with the one from Github. Also, I'm not too familiar with the GIT thing - do I just choose download to zip and extract to my Addons folder after deleting the version on here? or do I add the zipped file on GIT to the one here? Hope that makes sense, my brain doesn't function very well when trying to compose sentences lately LOL. 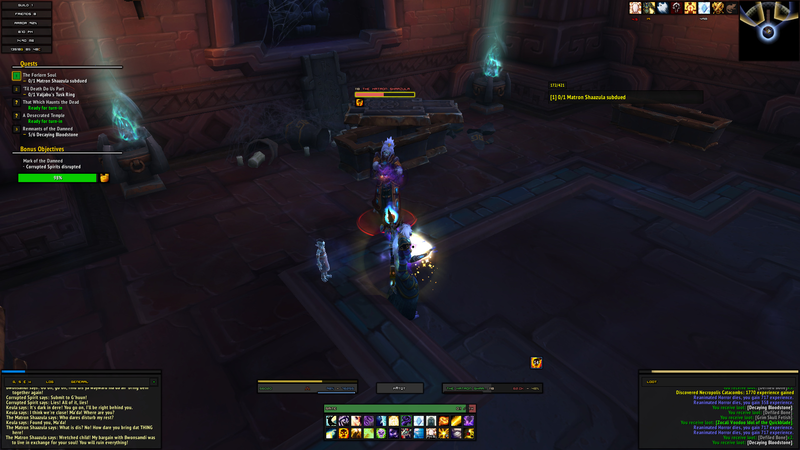 So I've been using ElvUI and several plug-ins for some time., but this UI looks very cool and I would like to use it. My question is, do I need to get the main TukUI download in addition to this one, just like with ElvUI? If anyone experiences ToT turning white and not changing back after clicking on someone from the opposite faction who's fighting a mob, I just pushed an update to my git that should include a fix for that.